Special catfish glove for landing fish and holding line when freestyle clonking, where the bait is retrieved by hand and the strike is also set by hand. 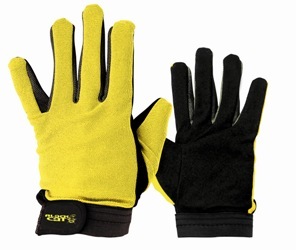 The glove has a perfect fir, does not go brittle and is easily put on and removed even when wet. A comfortable Stainless Steel, slice resistant mesh glove. Extra sure grip on fish.